Living a Fit and Full Life: Protect Your Skin this Summer with hint Sunscreen Mist Made with Subtle Natural Fruit Essences! 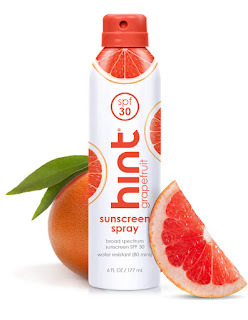 Protect Your Skin this Summer with hint Sunscreen Mist Made with Subtle Natural Fruit Essences! 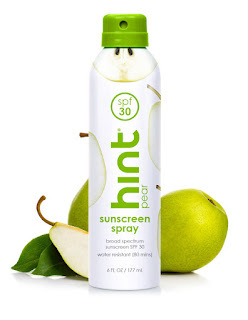 Protect your skin this summer with hint Sunscreen Mist made with subtle natural fruit essences! Earlier this year my family and I had a pool built and since then have been enjoy much more time outdoors. However, living in Arizona I quickly realized I was going to have to find some serious sunscreen to protect both me and my family. 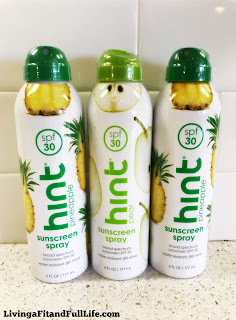 I've been hearing amazing things about hint sunscreen so I thought I would give it a try. 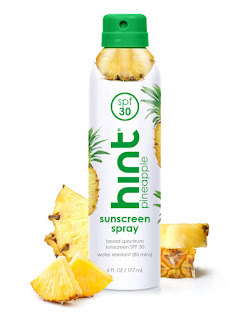 Hint Sunscreen not only smells amazing but it works really well! I also love that it doesn't contain oxybenzone or parabens. Another thing I love is how easy it is to apply and that it doesn't contain any propellant chemicals. It's also water resistant for up to 80 minutes which is perfect for outdoor water fun in the sun! If you're looking for a terrific sunscreen to keep your skin protected from the sun, then look no further than Hint Sunscreen! Click HERE to find a store near you that sells hint! Click HERE to learn more about hint! Follow hint on social media!